There is no denying the fact that director Rajkumar Hirani left out most of the controversial portions of Sanjay Dutt's life and rather painted him as a victim of circumstances. Director Rajkumar Hirani's Sanju received quite a mixed response from the audience as well as critics who called it a "propaganda" film and not an honest biopic. There is no denying the fact that Hirani left out most of the controversial portions of Sanjay Dutt's life and rather painted him as a victim of circumstances. Many said that the biopic was made to whitewash his image. To which, Sanjay Dutt has finally responded to all the allegations and said that he has told the truth. "I don't think anybody would spend Rs 30-40 crore to change his image. That is too much money. Whatever they say is their point of view. I have told the truth. The truth has been accepted by India. I am happy that people have accepted my life and learnt from it," Sanjay Dutt told India Today. Both critics and audience complained that they didn't get to see the dark Sanjay Dutt in the biopic. However, Sanju says that there is nothing dark about him that's why so many people love him. "Sanjay Dutt is never a dark person. Why do you think so many people love me? There is nothing dark about me. Growing up the way I did - it was no different than a usual teenager or youngster. There was nothing special about being Mr Sunil Dutt's son. I made mistakes - a little more. I even went to jail for it which I don't regret," he said. Hirani also took a dig at the media for printing source-based stories about Sanjay Dutt which were carried in the newspaper with a question mark. 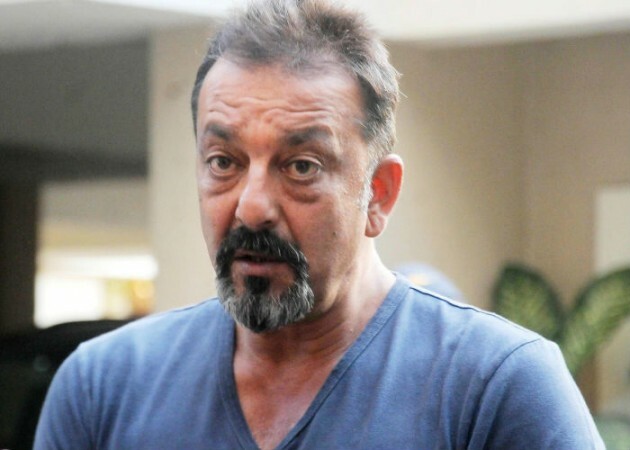 When asked about media-bashing shown in the biopic, Sanjay Dutt replied, "I love journalists. I have some absolutely close associations with journalists." "Till the time you don't have the facts, why do you print something like that? That too with a question mark, so that I can't take you to court. It can affect not only me, it can affect my family too. The main thing is that I accept my faults. Do you accept your faults? The Supreme Court has acquitted me of terrorism charges. The only case I'm convicted in is the Arms Act," he added. While Sanjay Dutt had no complaints against Sanju and its performances, his sister Namrata Dutt, however, didn't connect with Paresh Rawal and Manisha Koirala who played the role of their father Sunil Dutt and mother Nargis Dutt. "I can't see anyone portraying my father. He was special. Not that I didn't like him. I didn't connect, but I'm not the audience. I'm Sunil Dutt's daughter," Namrata told Spotboye when asked about Paresh Rawal's performance. Commenting about Manisha Koirala's portrayal of Nargis, Namrata said, "She was okay too. Being Sunil Dutt and Nargis' daughter, it's difficult to make judgments. If the audience connected with them, it's great!"